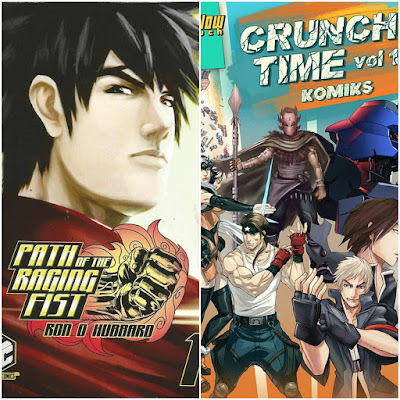 thebackingboardfiles: Check out Path of the Raging Fist & Crunch Time Komiks! Check out Path of the Raging Fist & Crunch Time Komiks! Local “Fighting” komiks are go! 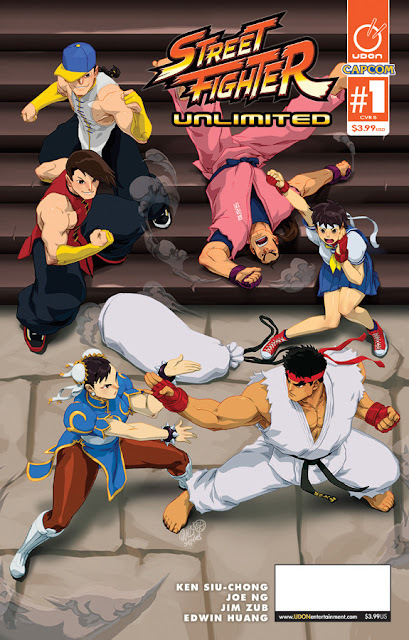 Street Fighter Unlimited #1 was published by Udon a few weeks ago and the new story delves into Ryu’s quest to prevent from succumbing to Satsui No Hado, or the Dark Hado, that Akuma has mastered. The comic, a spin-off from the popular and best-selling video game of the same name, has since 2003, seen 57 standard issues, three graphic novels, and two short stories published. Even in the local comics industry, one can see the extent of its influence in a pair of recently published independents — Path of the Raging Fist #1 and Crunch Time Komiks Volume 1. Path of the Raging Fist is written and drawn by Ron Hubbard tells the story of Zion Adlas who goes on a quest to discover his mysterious past while learning to control his rage while Crunch Time Komiks Volume 1 is an anthology of stories that features Samuel Donato’s Atlas Division that has Street Fighter overtones. In Donato’s 15-page Atlas Division chapter of Crunch Time Komiks, it’s a teaser of sorts as an amnesiac boy is nearly run over, a man is suddenly imbued with super strength, a sinkhole appears, and a missing friend seems to be wholly different. Donato’s art will not look out of place in Street Fighter publisher Udon’s art style. It’s dynamic and packs a punch. During an interview with Filipino comics great Whilce Portacio during AsiaPop Comicon, the super star artist noted that local artists have come to international recognition for their take on foreign art styles including manga and anime. “People say that it’s a foreign influence but what is wrong with that? If it gets you noticed why not? And we can also turn it into our own?” Portacio gained recognition for his early work on Marvel Comics’ “The Punisher” and “X-Factor” with his heavy manga influence. Summed up Hubbard, “If you’re into the action and adventure genre, I think you’ll like it (referring to his comics). I’m trying to make it as fun as possible because that’s what I felt when I watched those series from my youthful days." For more details on “Path of the Raging Fist” and “Crunch Time Komiks” check out Cosmic Cube Comics and The Yellow Couch respectively on Facebook.